The pen name, is the name rich in elegance to be used in the document. To increase the quality and harmony in the works than the real name, it is intended to set on fire the momentum of devotion effort of the author. 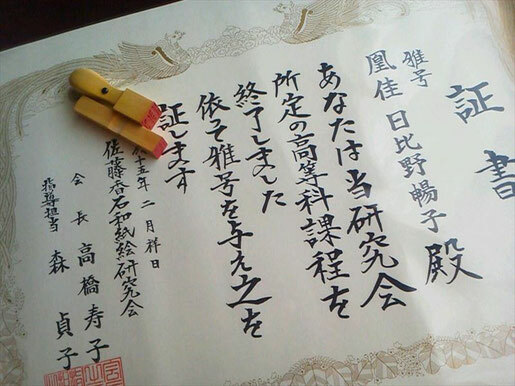 In the pen name acquisition classroom Yoko Hibino, there is a system that can be obtained for those who quality high pen name of prestigious Sato Koseki croup is terminated a certain curriculum. Usually the course of the classroom to be specially opened for you to get many people to everyone this course to take nearly 10 years for a minimum three to four years.Beyond a hobby, be sure to only one of the art your work to the world. Pen name acquisition classroom, making it possible to sign up in there you JEUGIA Culture School in Ogaki Aqua Walk Ogaki. Of course, since you can also sign up directly to Kamiko art Secretariat (0584-71-9778), please do not hesitate to contact us. 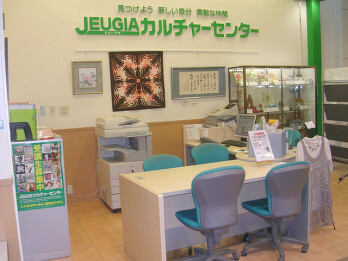 Venue: JEUGIA Culture Ogaki schools. Time: First and three (Sat) 10:00 to 12:00. For more details, we will refer to ask JEUGIA Cultural Center home page. Ogaki, Gifu Hayashimachi 6-80-21 Aqua Walk Ogaki 2F.